• It's just the roof top, which can be lifted 22 cm, and we have mounted plexiglass windows to the roof top, so it's possible to have a view to the habour. • Kebony for the deck and cockpit has been chosen as an alternative to teak. • Track across for the mainsheet..
We are now back from an eventful week in Barcelona, where we participated in the election of European Yacht of The Year 2009/2010 with our Olsen370. We have invested a lot of energy and money in this arrangement to be able to get out to as many sailors in Europe as possible at once. We had full programme from Tuesday to Thursday, where we were sailing with journalists from 11 different countries. We were in general received fine, and in the end we were asked to give a Guided Tour on the boat, because the rumour was saying, that we had a lot of innovative solutions onboard. 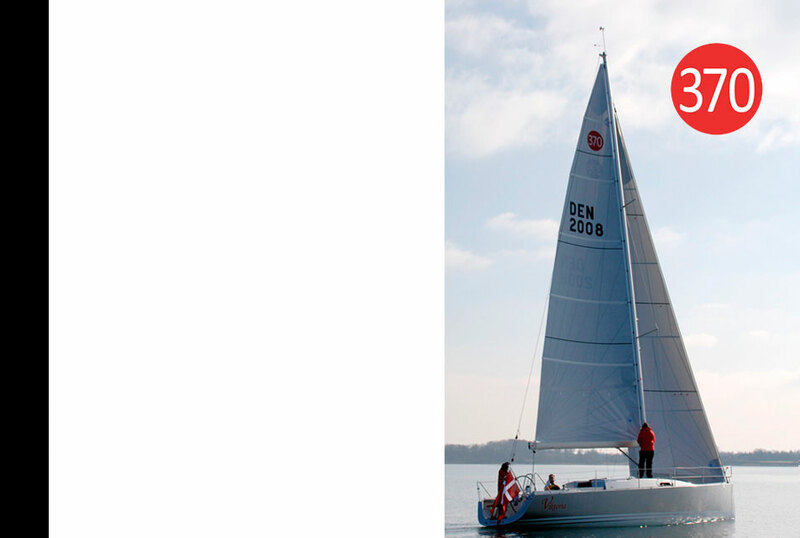 Our Olsen370 showed very good sailing performance outside Barcelona. We got all our different sails up incl. gennaker and Code 1, and the speed potential were clear to all under blue sky and light wind. Some were sceptic about our 100%SA. They felt the mast should be up to 2m higher to give the boat power enough, but most of them got a different view after the test sail. Our concept isn’t to over power the boat, so it was good to see, that everyone was satisfied after the test sail. We got many positive comments below deck. Everyone thought it was very cosy, particular when it got dark outside. Our Holmegaard lamps with dimmer was a really show off. We had many people onboard every day after the test sail was finished. The fact, that part of our superstructure can be raise and thereby give a height below of 183 cm, was well received by the journalists. They had’en seen it in this way before. Our superstructure can with a finger on a push bottom electrically be raised approx. 20 cm. On the picture it’s in its maximum position. The German magazine “Die Yacht” performed an exclusive test of our boat, and they were very thoroughly. The test will be published just after Boot in Düsseldorf end of January 2010. 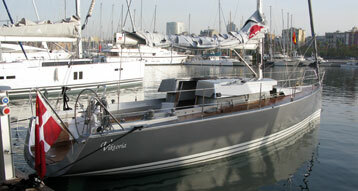 The prize Boat of The Year 2009/2010 will be issued 23rd January 2010 in Düsseldorf. We are waiting in suspense for the result.